You've seen the raves on the internet, and read the reviews. Now available by DEMAND as a beautifully printed booklet to add to your library. 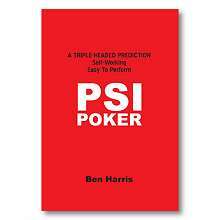 PSI-POKER is the latest creation from Ben Harris (co-creator of 2010's hit "X-RAY"). This new effect is TOTALLY SELF-WORKING, requiring no skill or gaffs. The secret is ancient, but it's NEVER been used in this manner before. Magic's leading historians and card experts have confirmed this claim. The effect is a MULTIPLE PREDICTION of how a game of "Texas Hold 'em" will play out from a shuffled deck. You hand a prediction to a spectator for safe-keeping BEFORE you introduce a deck of cards. The prediction is NEVER again touched by the performer. The deck is shuffled, and another spectator is asked to DECIDE WHERE the cards should be dealt from. He cuts the deck to do this, OR HE CAN SIMPLY POINT TO ANY SPOT IN THE DECK. His choice is FREE. It is emphasized that HIS DECISION will ultimately decide the fate of the game. Now, two hands are dealt: one for the spectator, and one for the performer. The game plays out in an exciting manner. Ultimately, it is a very close game. The spectator ALMOST forms a winning straight but JUST MISSES by ONE PESKY CARD. 1. Who will win the game and how. 3. The EXACT CARD that the spectator was looking for to complete his straight. It's a triple prediction which describes HOW THE GAME played out AND THE EXACT CARD that the spectator was looking for! It's quite an impossible moment. Remember, the spectator could have decided to deal the cards from ANY POINT in the deck! 1. The result is DIFFERENT each time. This means that PSI-POKER can be used in situations like walk-around, table-hopping, or on the streets. 2. There are NO GAFFS OF ANY KIND. This uses a SINGLE deck of playing cards and a SINGLE prediction ONLY! 3. NO POKER KNOWLEDGE is required. This has been designed to play for ANY audience. It will be fully understood and comprehended by poker players and NON players. If poker is your thing, then you can ENHANCE the procedure with appropriate terminology. It's all up to you. 4. The prediction is not tampered with in any way. You hand it out BEFORE you begin and you NEVER touch it again. The spectator opens and reads the prediction. 5. The spectators DEAL the cards at all times. Once the effect has begun you NEED NOT TOUCH THE CARDS AT ALL. "Ben has discovered something quite amazing about Texas Hold'em and #######. Using that discovery he has created a very clean, hands off effect. 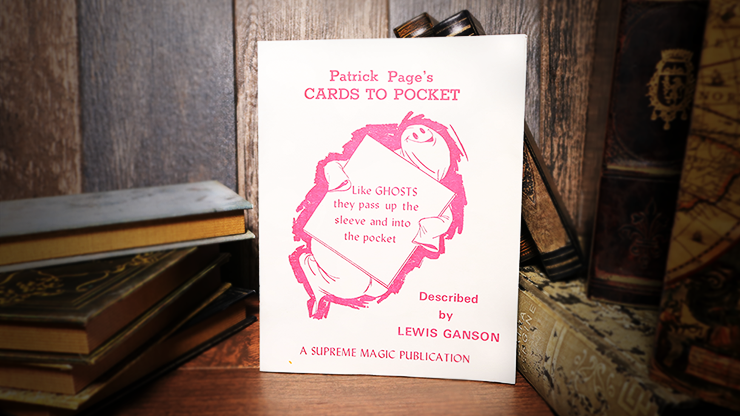 This is a lovely gambling themed prediction that taps into the popularity of the world's most famous card game. It's an incredibly easy but powerful effect." 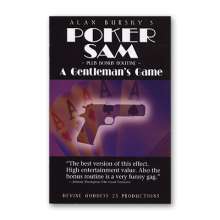 "Extremely clever thinking, and a timely effect, given the interest in Texas Hold-Em." "What a great routine. 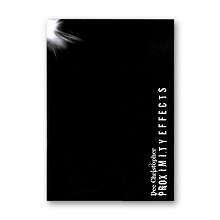 I think you have discovered new hidden properties of the @#%*!, and you have created something special." "What I LOVE about this is, it's as fair as the description. You have no manipulation over the deck at all AND it's a normal, standard deck of cards. The book is incredibly in depth and the routine is absolute gold. This could fit in from close up/ walk around to parlor or stage. It's a strong routine which really looks about as fair as you could make it." "PSI Poker is a fantastic idea. The game itself is very popular.The handling is so natural. I like everything about it." "I love it! A brilliant twist on an old secret. Would've never thought of it in a million years!" PSI-POKER could well be the self-worker of 2011. You'll have so much fun performing this. Texas Hold 'em is a HOT topic, and PSI-POKER lets you relate in and AMAZE without lifting a finger. Anytime you have a deck of cards and a piece of paper (for the prediction) you are ready to go! The secret is one you already know (it' ancient), but it's just not been used like this before. Order now and amaze!